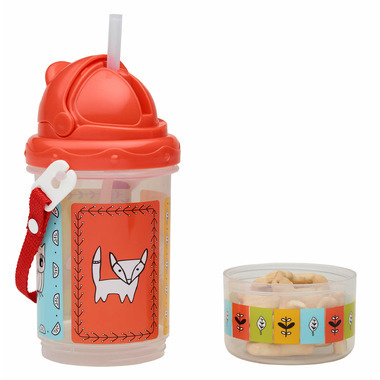 Kids can share their mealtime adventures with our new Meadow Friends - The Fox, the Owl,the Bunny, and the Porcupine. 2-in-1! 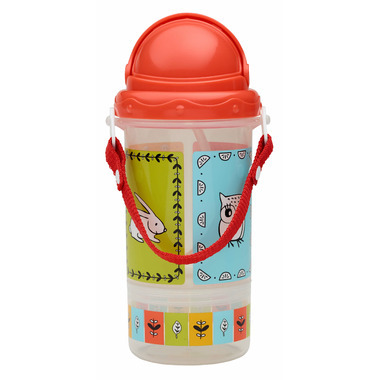 Perfect for sipping and snacking on the go!, Comes with lid, silicone straw & removable handle. WARNING: Silicone straw could pose a choking hazard if chewed, bitten or comes off. Please do not use if there is any damage to the spout. Please do not allow your child to chew on the spout under any condition. The spout is not removable on this bottle. Recommended for children 3+ years.